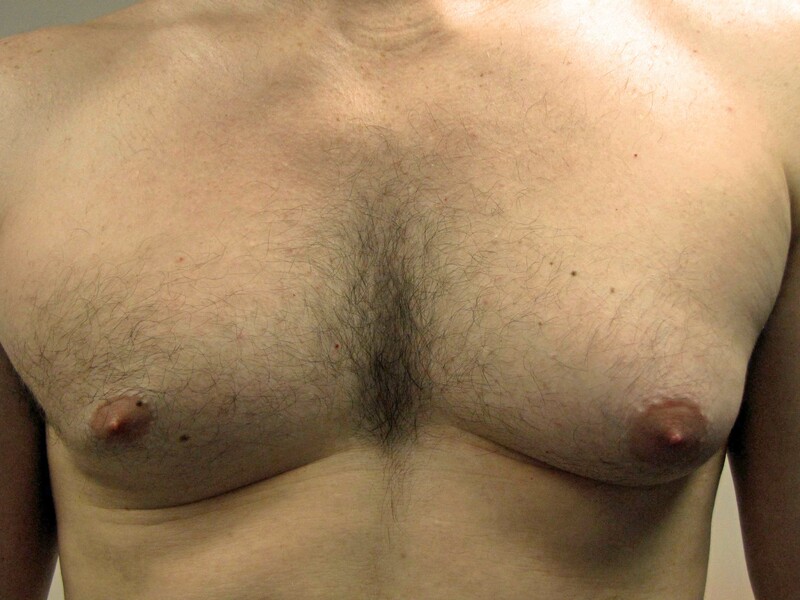 Gynecomastia, the condition of enlarged breasts in males, is a very common problem. As I have noted in previous blogs including most recently The Emotional and Social Impact of Gynecomastia on the Adolescent Male , it’s presence can lead to embarrassment, humiliation, alteration of physical activities and sports, loss of self-esteem, a reduction in social contacts and social isolation, anxiety, depression, eating disorders and even suicide ideations. Fortunately, the treatment of gynecomastia is very successful and, consequently, there is an extremely high rate of satisfaction from males who have undergone surgery. Surgery generally involves liposuction of the breasts with/without direct excision of breast tissue. Most men seeking breast reduction surgery present with involvement of both sides though there are often differences in shape and extent of involvement between the two sides. Not too infrequently, I will see a male who either just has involvement of one breast or only one side bothers him. The following patient is such an example. 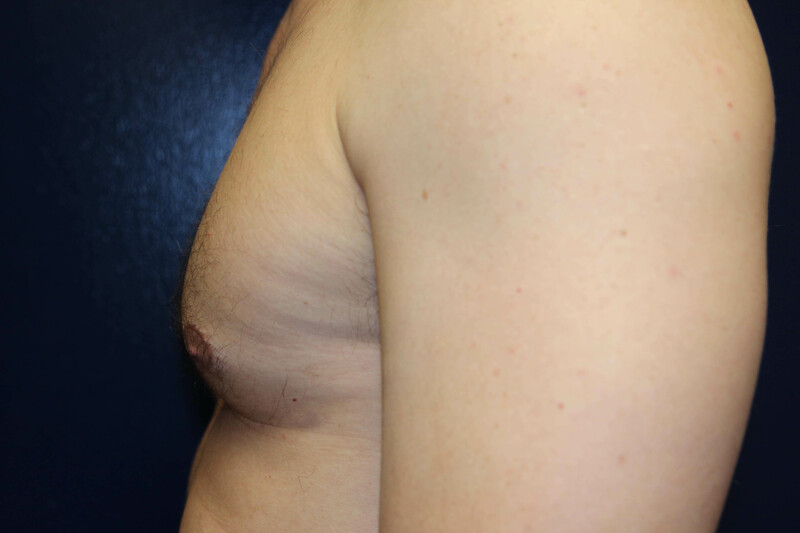 This is a 35 year old male who has had gynecomastia only involving his left breast for many years which really bothered him (photos A, C and E). He would have undergone surgery a long time ago but had significant anxiety about the procedure. He denied using performance enhancing steroids or creatine but had been taking Propecia for hair loss (which can cause male breast enlargement). Because of the unilateral involvement, a mammogram (or man-mogram, in this instance) of the breast was done to rule out cancer and it was read as otherwise normal. Plastic surgery treatment involved liposuction of the left breast along with direct excision of breast tissue. This was all accomplished through a small incision around the lower part of the left areola. There was little postoperative discomfort and no problems and he was able to resume full working out and sports at 3 weeks. He was very happy with the results from the male breast reduction surgery and wished that he had actually done it years ago (photos B, D and F). For more information on male breast reduction surgery or for any other plastic surgery procedure that I perform, please call my office at 480-451-3000.